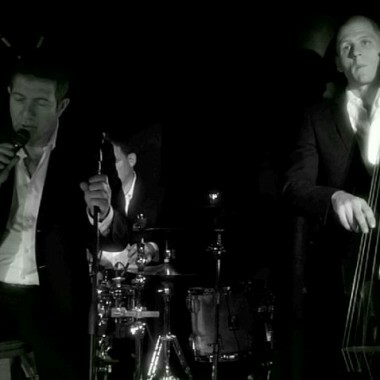 Swing, Rat Pack, soul and pop band for hire. 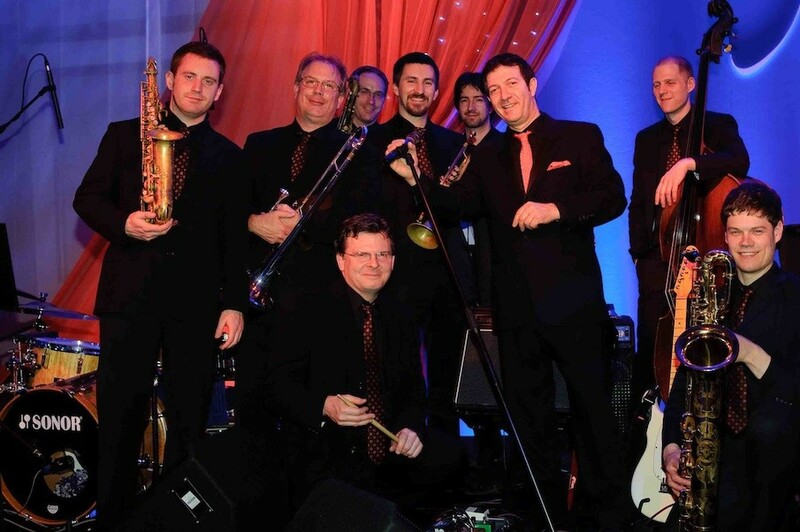 The Stirling Austin Swing Band, the perfect choice whether you're looking to create a sophisticated background atmosphere or keep your party dance floor busy. ... The best Swing & Soul band ever!" With an authentic swing band sound, including a great horn section, as well as the ability to transform into a soul and pop band, Stirling Austin has the repertoire to please all tastes – from cool, sophisticated swing, jazz and Rat Pack classics, to high energy soul and pop numbers to really make your party come alive (and perhaps a bit of Rock ‘n’ Roll if the mood takes you). Some of the UK’s finest professional musicians play in the band. 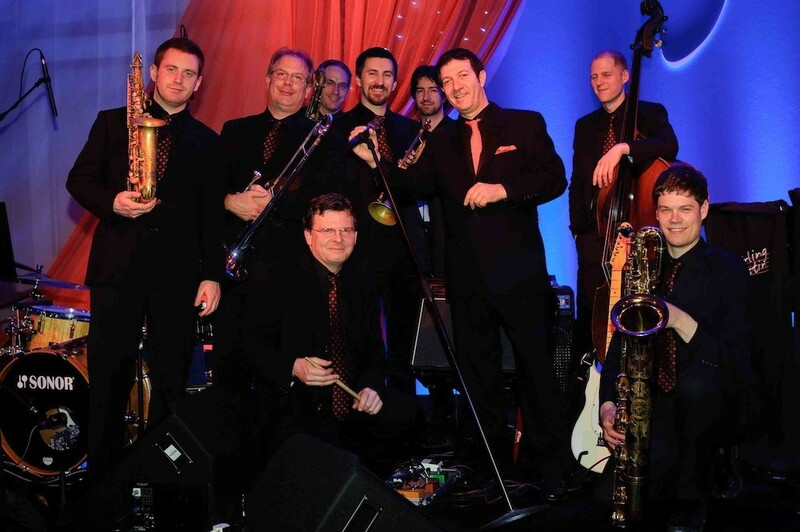 They’ve worked with the likes of The BBC Big Band, Jamie Cullum, Jacqui Dankworth, Stacey Kent, Martha Reeves & the Vandellas and many other top entertainers and celebrities. 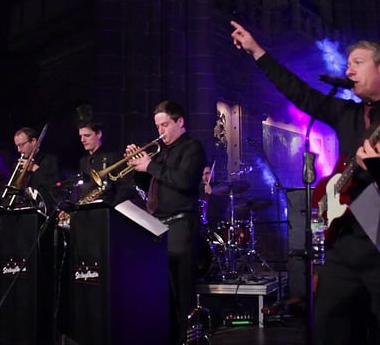 This is a professional and reliable function band that knows how to deliver quality entertainment and can adapt the line up to suit your event and budget. As you add more horns, the sound becomes richer and fuller. They can also add extra female vocals to each band size to extend the repertoire even further. 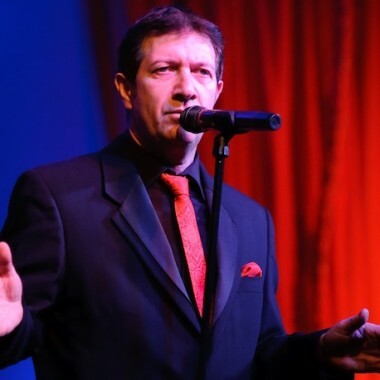 An ideal formula is to set the mood in the first part of the evening with a couple of sets of Swing, Rat Pack and Big Band classics, followed by a classic soul and pop set to really get the party cooking! Ideal for smaller, more intimate gatherings to create a sophisticated and mellow atmosphere in the style of Tony Bennett and Burt Bacharach, allowing you and your guests to talk and be heard whilst still getting people on the dance floor! Ideal for events where the soul and pop repertoire is not required. Stirling can also perform solo with a simple piano/bass accompaniment. This option is ideal when background music is required for a reception or cocktail event. This line-up can also be included as an introduction to an evening, for example before the band plays or as guests are arriving. The Band works in partnership with Taina Kortelainen, a professional dance teacher, choreographer and dance champion, who can prepare you for your very special first dance to the Stirling Austin Swing or Soul Band and even organise a Hen party dance session with a video souvenir!